Want Your Winter Evergreens to Stay EVER-green? Fall is the prime time to keep root growth hydrated. And evergreen trees and shrubs, especially those planted within the last couple of years, are particularly vulnerable to winter stresses— drying, burning and possible loss. Since we’ve had a pretty dry September and October, I’d recommend adding adequate amounts of water to your garden beds until the ground freezes. What’s considered adequate amounts water? • garden beds: 1” of water or rain per week. 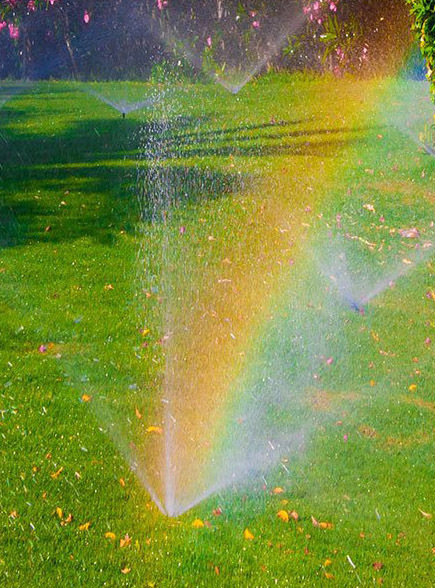 Water can be easily measured by placing an empty tuna can, or rain gauge in your garden where your sprinkler hits. • evergreen shrubs: add two gallons of water for each shrub, one time per week. • evergreen trees: add five gallons of water, one time per week. Also, pay special attention to broad leaf evergreens, such as rhododendron, holly, and pieris japonica. As well as arborvitaes, which are notorious driers, and evergreens planted close to the house can dry out quickly too. As tempting as it to think the gardening season is put to bed, remind yourself— mark your calendar or put it in your phone, to keep on watering thru Thanksgiving, think— put the turkey in oven, then go and water the evergreens! It is Time to Prune! Tiny Bulbs Give BIG Impact!